Weekend package for your company "Feel"
Druskininkai is a SPA heart of Lithuania, it is SPA town on the coast of Nemunas river (biggest river in Lithuania). Druskininkai is a city where you can relax 100 %, it has lots of SPA centers, sanatoriums, water park. Also there is indoor Snow arena for snowboarding and skiing during all seasons. This program is specially designed to feel all SPA and water activities to refresh soul and body. It is perfect program because just in three days and two nights you will experience SPA and water activities pleasure and will relax your team. This program is perfect for relaxation and refreshing your body and soul. Bathrobes, towels, slippers included during visit. 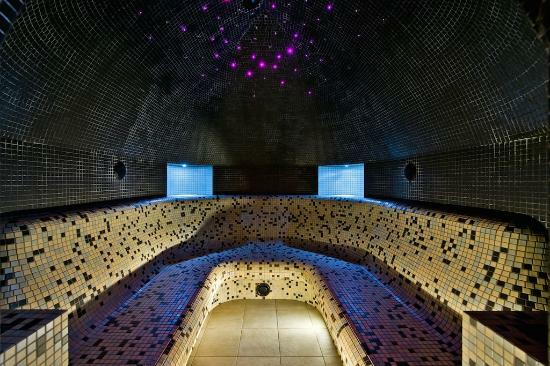 After this program you will be able to relax and enjoy in pool, jacuzzi or even sauna. Optional dinner depending on weather: Barbeque dinner at hotel terrace with professional chief or if you want there is possibility to cook barbeque by yourself in professional barbeque making machine (if the weather is good) / Dinner at restaurant „Kolonada“. In Lithuania we do not have big mountains for skiing but we have the only winter sports complex working all year in Baltic states which is Snow Arena. There is three skiing tracks designed for alpine skiing and snowboarding. We will take you to Druskininkai „Snow arena“ to have more fun. We will bring you with our transportation to Vilnius airport for your Flight back. Please contact us by email booking@balticadventure.com or ph. +370 65906440 for reservations or requests. We will plan your holiday including flight tickets, accommodation, transport, bookings at the best restaurants and much more. Package price: 290 EUR per persons. For tour it must be at least 5 persons! If less persons please contact us and we will arrange trip for you also. Price is per person. Price can vary depending on activities selected or extra activities. Contact us and we will discuss the best price for you. To send you offer based on your needs, please fill the Conference Request Form or call +370 65906440 (9.00-18.00 (GMT+2)) Monday to Friday (emergency cases 24/7). Our specialists will contact you shortly. Best SPA center in all Baltic states with award proving it.